Cor Alons 4 dinning chair multiplex plywood designed by Cor Alons for C. de Boer, 1949. Plywood legs, seating and backrest in re upholstered black and white fabric. 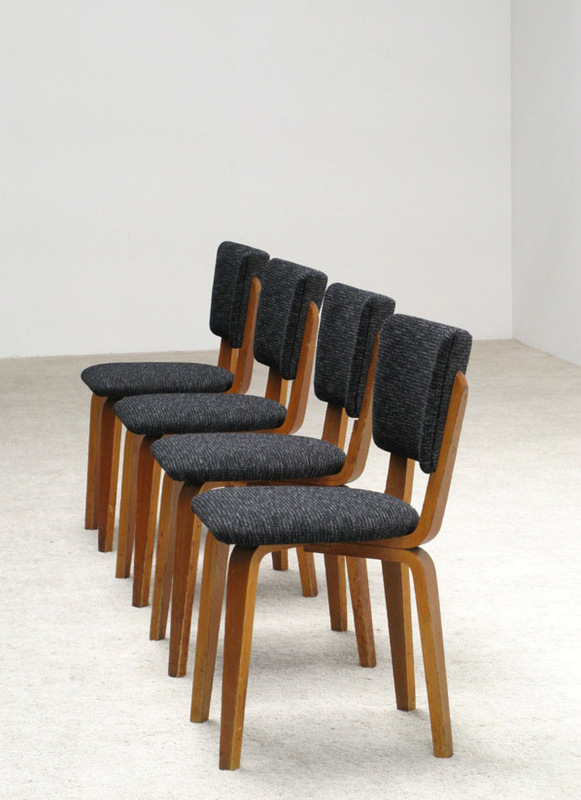 4 chaises de salle a manger en plywood, conçu par Cor Alons pour C. de Boer, 1949. Pieds en bois plywood. Tapisserie d'ameublement en noir et blanc.